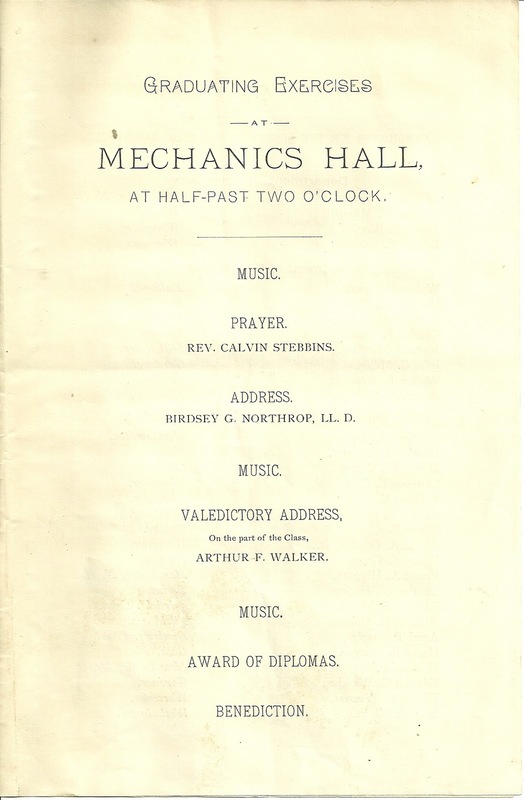 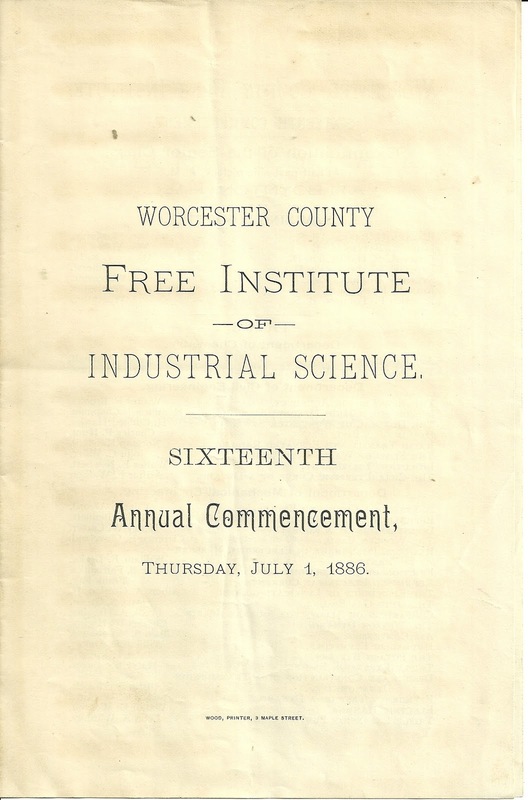 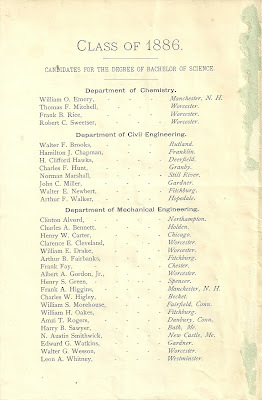 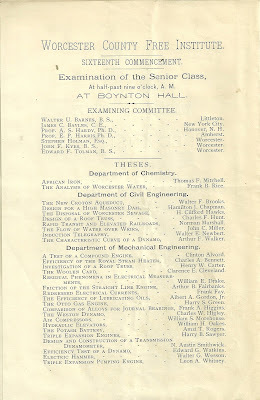 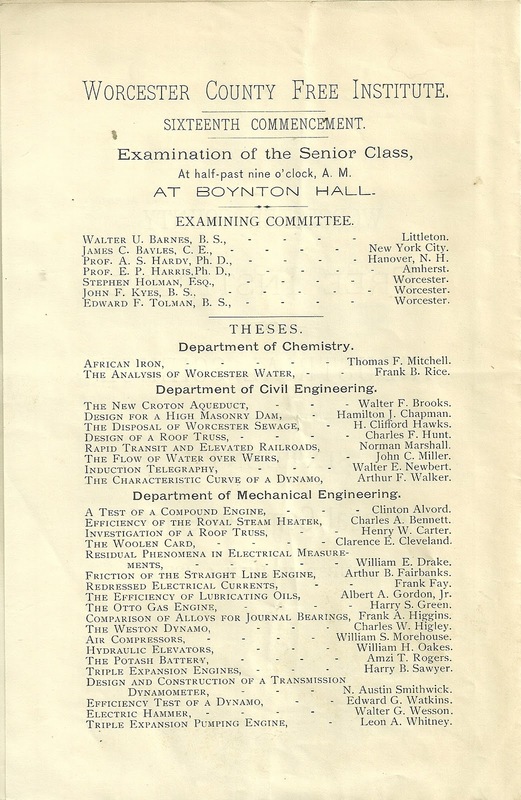 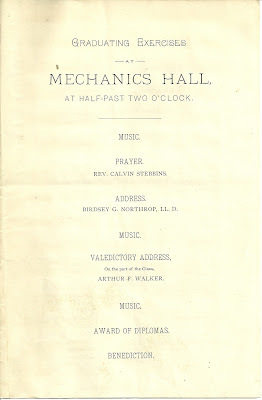 Worcester County Free Institute of Industrial Science, Sixteenth Annual Commencement, Thursday, July 1, 1886. 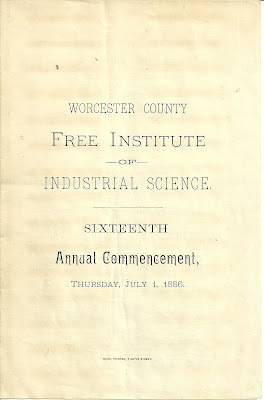 This Institute, founded in 1865 at Worcester, Massachusetts and one of the first engineering and technology universities in the United States, is now known as Worcester Polytechnic Institute. 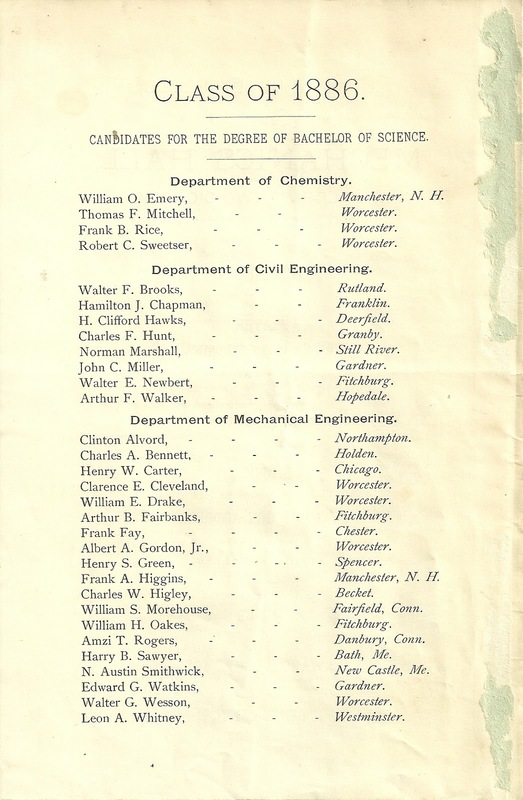 The Efficiency of Lubricating Oils, Albert A. Gordon, Jr.